For topics unrelated to bush walking or to the forums. Some of you might remember than one of my pastimes is salvaging and rebuilding old speakers. I need to build some new subwoofers for the stereo and as I can't afford to buy new drivers I am trying to use what I have in the shed. Does anybody here have any experience with digital signal manipulation and can advise me if the little DSP unit currently on sale in the USA is worth buying and playing around with? I think it is interesting that buying locally through the WES systems subsidiary LSK was actually cheaper then buying in the USA and having it posted, mainly due to the way they calculated the Australia Tax and add on their own fees and collection charges. Wow, I'm glad I came across this thread, I bought a Sure Electronics something something to do a stereo active two way crossover and a low pass for the sub almost two years ago. It seemed quite powerful for the money but was pretty confusing to get working when I bought it, I may end up buying one of those Dayton units as it would just be a useful thing to have lying around. I rebuilt a mate's DJ type speakers with Dayton drivers and they are ridiculous for the money, they were one of the only cheaper 12" drivers that would suit a ~1cu ft ported enclosure. The difference in sound quality and output between the factory items and the new drivers was amazing, hopefully a drunk mate doesn't melt the tweeters again, hahaha! MD, home theatre and general home audio gears these days have very wide price points, not sure self made system can match their quality and practicality at any of those price points. Apart from wanting to play geek, you are more likely than not to end up spending way more money and time. The audio electronic scene has changed so much since its hay days back then. Here are a few quick pix of what my DSP has to work with. What software are you using to work out which drivers suit the enclosures you have? Hiking Noob wrote: What software are you using to work out which drivers suit the enclosures you have? How are you measuring the results of the system? photohiker wrote: How are you measuring the results of the system? At the moment I am not At the moment I am relying on Ceciles golden ears my deafness is so bad. New microphones and tools coming after the new garage is built. Previously when living in Melbourne a mate was measuring for me at his shop in Reservoir [ now defunct] but using well known drivers and designs the results are usually OK. Cool. Is it ok, and how much does it cost? Have been building a new preamp, a PASS amp, and in the process to build new small speakers with Scan-Speaker drivers. This is only for stereo with no video or tv in a different room. Will probably build some larger speakers later to be able to swap speakers in that room. Ok, will order the measuring mike. Be good to see how the speakers are working. Lol. For the iPhone, saw the app was from Studio Six Digital: AudioTools. $30.99 and might need more $ in it..
You haven't tried WinISD at all? Works for my basic builds. My old Pre-amp had parametric EQ [ which I really really miss] and it is interesting how so many drivers run into excursion problems at +6dB at 30Hz and a lot of my music has Infrasonic tones a low as 18Hz. Ok, the iMM-6 iDevice arrived this week. Then paid for the AudioTools for the iPhone. $30.99! Then spent some time to get the iMM-6 calibration file. Downloaded it and put it on the iCloud, then able to put it on to the AudioTools on the iPhone. It works! It should be a lot easier to do all that, but done now. Not knowing how to generally test the speakers from the iMM-6 (or anything else) is there a simple way to get going? Should I use one or both speakers together, How distance from the speakers to be testing it, and should be using Pink Noise, or something else? Is the standard items inside the AudioTools all I should need, or is there any of them I should add to it? I used to use Audigy but in the new version the sweep function is hidden somewhere and I can't find it. 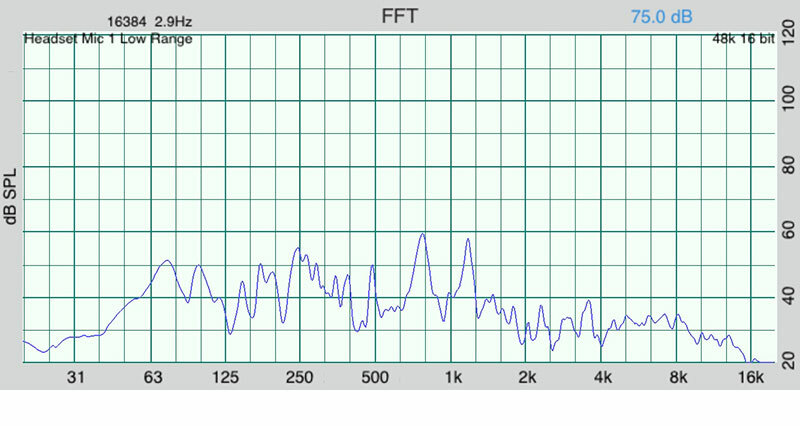 A metre from the speaker in question level with the midrange is usual. If you can take the speakers outside and well away from walls and stuff measure outside, 15 metres from any hard reflective surface would be great. No room here and a tower is out of the question. So something that will do a full audio sweep 20-20kHz. Finally finished building my new speakers, the Ellam98 MkII. I built the speakers from some Baltic Birch I could buy in Adelaide! Spent a lot of time in the workshop getting the wood cut and setting it all up, then clear varnishing it. After that, had to get all the crossovers done, adding some heavy insulation inside the speaker and some other fabric to reduce the bouncing noise inside the speakers. 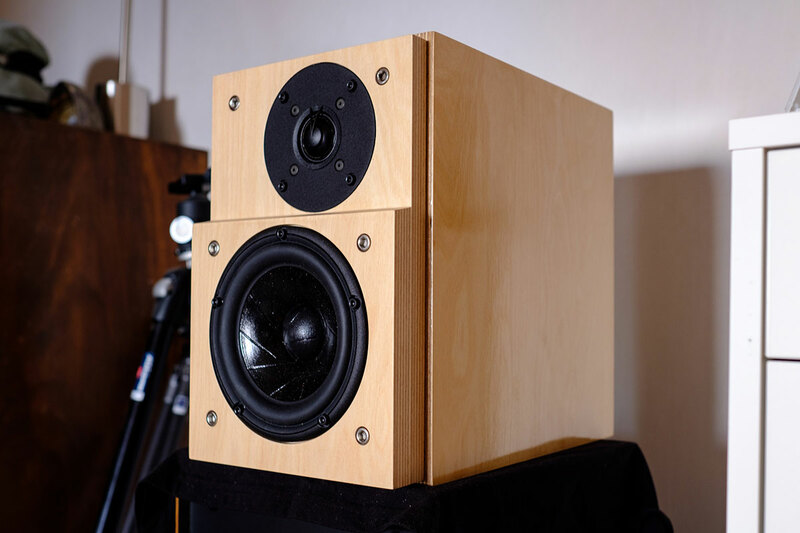 The speakers are small: 200mm wide, 300mm high and 300mm deep. When all done, each little speaker is 10Kg! Sound is excellent. More bass than I thought it would be!